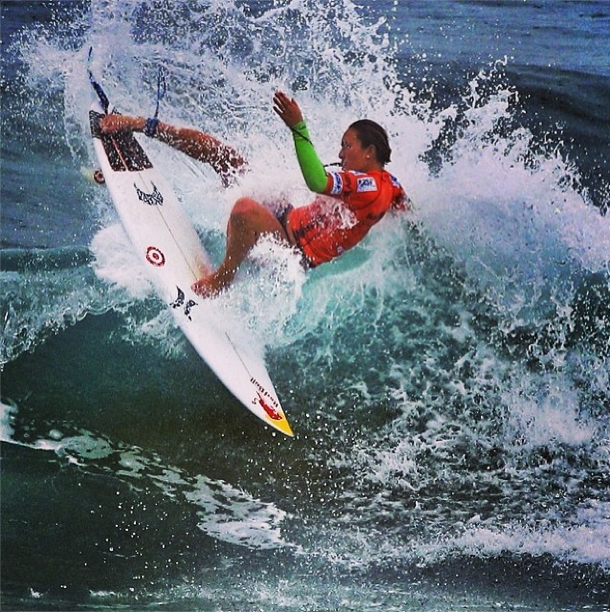 Current World Champ Carissa Moore won the Australian Open of Surfing (the first significant womens event of the year) last week in Manly Beach. Riding her board shaped by Matt Biolos she defeated fellow Hawaiian surfer Alessa Quizon in the final with “The Turn” – a frontside layback blowtail that had heads shaking. Great way for the defending champ to start the year – Congrats Carissa!